Displaying 1 - 11 of 11 comments. I don't feel like we ever got any photo highlights from this year's event? Let's see them friends! 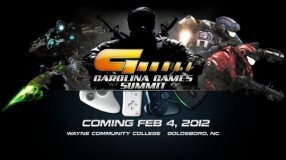 With the big Carolina Games Summit event happening RIGHT NOW, I know I'm eager to hear/see highlights soon! I was in the SSBB tournament. Can't wait to see all the event's highlights right here on this GoG profile! Exciting event profile here...I just littered this profile with comments, but I'm excited about the 2009 event and all the coverage we'll be seeing on this event profile, so what else can I say? !